For several years now, I have been a really big fan of the products in Origin’s GinZing product line. Specifically, I loved the moisturizer and eye cream because of the idea that these products are infused with caffeine in them. 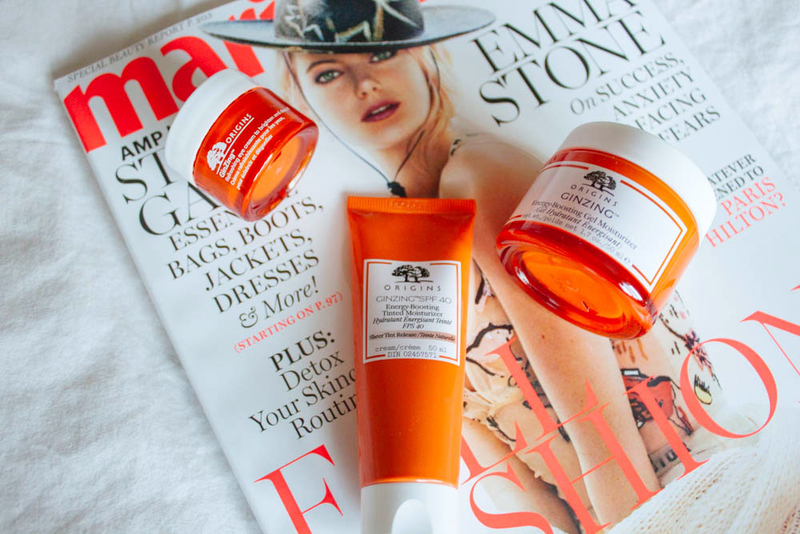 What more do you need to help wake up than skin care incorporating caffeine in it? The scent of the products is also really good at helping wake up your sense in the morning. It is a refreshing combination of grapefruit, lemon, and spearmint. Let me go on record and say it is the best skin care scent out there right now! The GinZing Refreshing Eye Cream was my favourite holy grail eye cream. I still highly recommend this particular eye cream when people ask for a recommendation. I have been trying a few other eye creams since I ran out of my original eye cream, but I am very likely to come back around to this one once I run out of my others. It works to wake up tired eyes by de-puffing them and reducing dark circles. The magnolia extract in this eye cream gives a brightening effect as well, which is super helpful for those tired mornings. 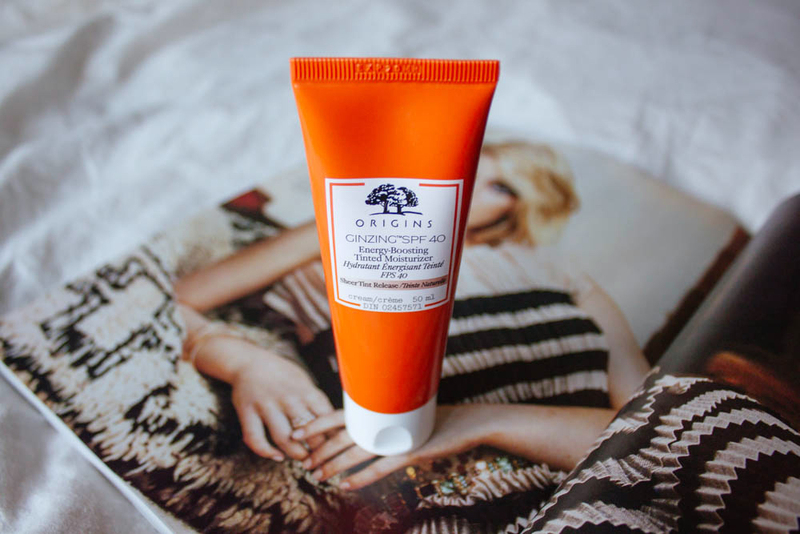 Origins just recently added a new product to the GinZing product range that people are going crazy over. The new GinZing SPF 40 Energy-Boosting Tinted Moisturizer is the ultimate “multitasker”. This moisturizer hydrates like a moisturizer, but also perfects with a hint of colour with a tint. Bonus: It has SPF 40! That is pretty high sun protection compared to other products on the market! I have been testing out this new product for about a week now and have some thoughts on it. I love the hydration quality, still love the signature GinZing scent, but the tint is a hit/miss for me depending on how well I apply it. For someone as pale as me, the tint can show up a tad bit too tan for me if I am not careful enough when applying it. I made that mistake the first time. It’s not noticeable in a way that it’s orange, but at really close inspection, it just didn’t match my skin tone well enough. The next few times, I mastered making it look even, and even got a compliment from the boyfriend that I looked a bit more tan in a natural way. If you aren’t as pale as me, you will have no issue with that at all. I do love the fact that this product isn’t in a jar and comes across as a lot more hygienic. I’m definitely going to keep using this product, just being extra careful while applying. If you’re going to apply foundation over top, you have nothing to worry about. 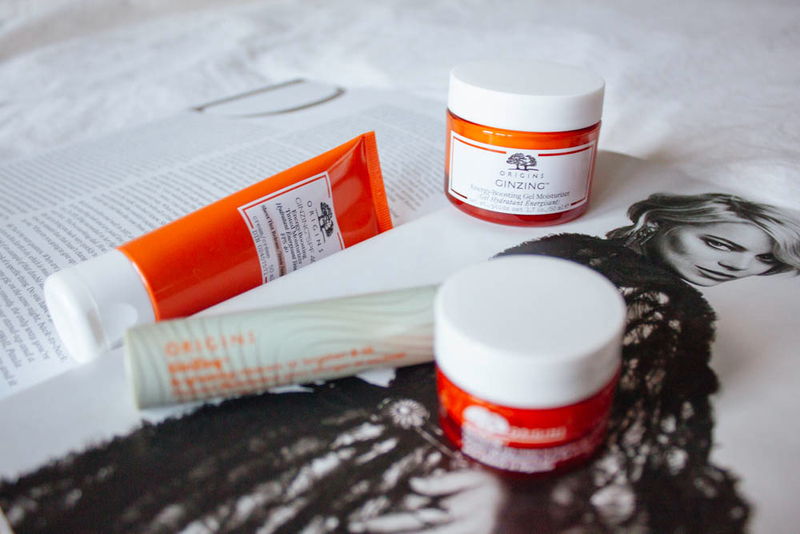 Have you ever used a product from the GinZing range or from Origins in general? I am a big fan of the brand and need to try more products… I will get there eventually. I’m still trying out the GinZing brightening mascara at the moment and am liking it so far! Leave any Origins recommendations in the comments below.